I know…this picture will bring a smile to your face! But really…it made me so much more relaxed while we went on a little vacation! We were given a trip to Disneyland (a 10 hour drive from me) from Chai Lifeline in LA, who deeply understands the needs of siblings of a special needs child (never mind their families too!). So of course, besides the excitement, came the thought of watching all the kids in a crowded busy venue! 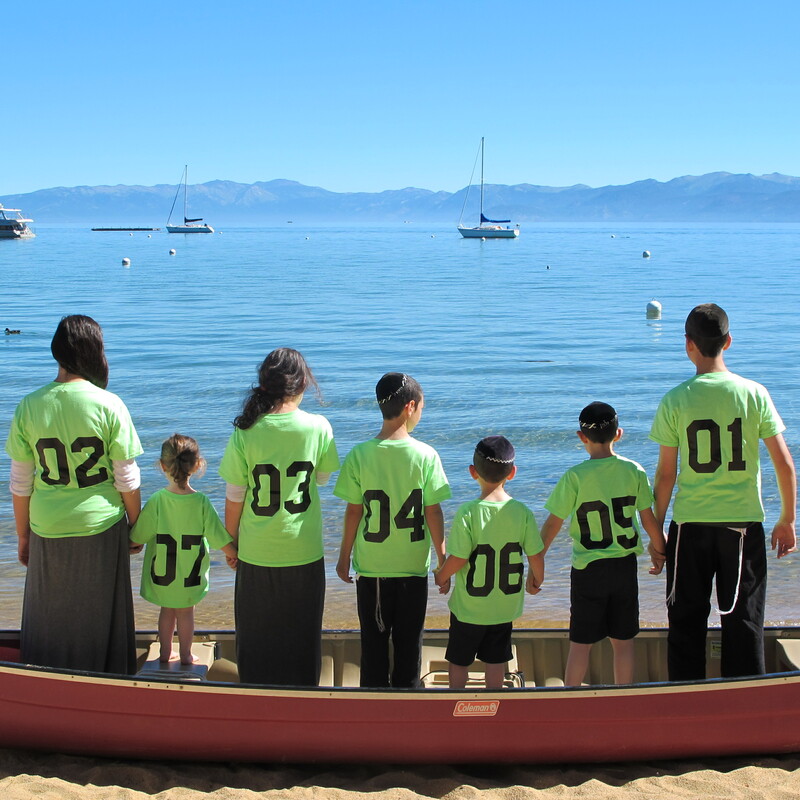 We decided to add to the fun with customized T-shirts that said “Scop Family Vacation 5773″ and then on the back was each child’s birth order! Seriously….I could see who was missing from a mile away!! In fact we may have been a mini attraction ourselves! We used these the following week at Lake Tahoe and decided to enter this picture into the weekly contest to win a gift certificate for a future purchase. Have a peaceful, safe and healthy summer! ← Without a Shadow of Doubt.